We are family owned and locally ran in the beautiful small town of Live Oak, Florida, but do not be misled to believe we can’t compete with the big town & big shops. With over 15 years of experience we are accustomed to the norm and the unique in weddings, company parties, birthday bashes, graduation celebrations and more. We provide party equipment for many annual events such as the Wanee Festival, Dancing in the Streets, Suwannee River Jam, Santa Fe Art Festival, Olustee Festival and many more. Our service area includes as far East as Jacksonville, West as Tallahassee, North as Nashville Georgia and South as Steinhatchee, Florida. 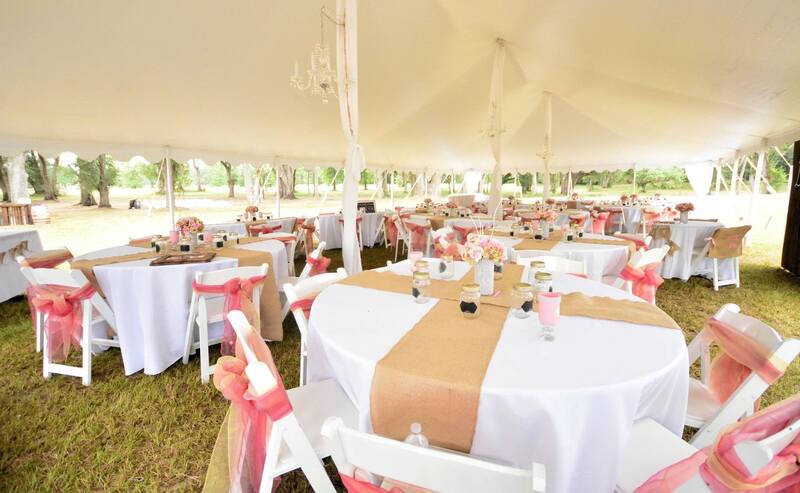 Our inventory includes many items such as tables, chairs, dance floors, linens, dinnerware, stages, and more, but our specialty is our beautiful canopy tents.